My wife comes to your cooking classes, and this weekend she tried coconut and shrewsburry biscuits. They were simple amazing in taste. Though I went ga ga about it throughout the weekend, she believed it only once her office colleagues loved them too! Thanks for all the good lessons. Just missed .... When 's next batch scheduled? i love this! from the gorgeous photos to the wonderful things we can learn - you've got SUCH a great place! Did the recipes to be demonstrated change? I remember seeing chocolate chip cookies as one of the items. Pardon me if i am wrong. Would have loved to attend but weekday is just not possible :-( ... Any cakes class coming up on a weekend? 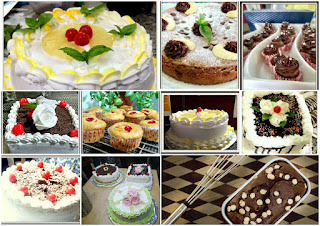 I would be in delhi on 2&3 July .. Is it possible for me to attend eggless cake n icing class? Hello, Would want ti join the 21st May Workshop. Can you please location/address details? Made bar cakes at home they turned out super.